Doc Next Network is calling on media makers, social activists and critical thinkers: take a stand and share your views on Radical Democracy for Europe on video! How can we create an open and inclusive European society? Submit your media works to our video challenge and win €2500! Deadline for entries is April 13. Here are some more reference and inspiration links. For me an idea is like lighting a match in the dark, IT makes all the difference. IT reveals a little more. IT creates shadows and in betweens. Before I “get IT” or explain IT or identify IT, I can recognise one feeling: an idea can transform the unfamiliar into a cell of awareness without having a name or a purpose yet. Just a bolt of energy that reshuffles what we knew before, like a new kid on the block has the power to change an entire neighborhood. For the most part, my ideas remain private, unexplained. Instinct is wordless, right? Why explain ideas to yourself? Sequences of verbal translation are a social tool of communication. My guess is when you feel an idea, you do what a plant does thru photosynthesis, changing light into nutriment. 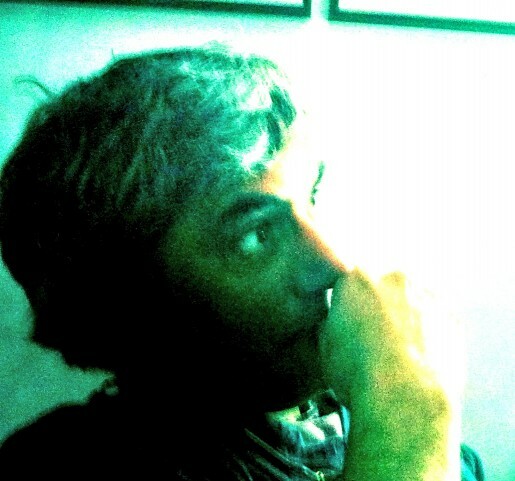 Perhaps our ideas are inputs, breaths to exhale later in new form. In between the in and out, is the mysterious, fascinating creative adventure of “process”, the middle of things, the Now. The East sits on the path of “what’s happening now” in a contemplative, deeper sense. The West keeps trucking’ on the highway of what happens next: desire, competition and material accomplishment. Action is inevitably a story structure: beginning, end, middle. The middle comes last because, a middle is a middle only if it is followed by an end. Personally, I am interested in one specific kind of idea: the cinematic idea. A cinematic idea moves and changes thru time. It possesses- from its beginning – the energy and DNA of a film, and nothing else. A cinematic idea carries visual power and storytelling potential, emotional dynamics. A cinematic idea wants to be a film, not a statue, a painting, or a building. Trying to freeze and label a cinematic idea to me is like sticking a pin into that butterfly, to be able to place it – dead forever – under a magnifying glass. But I am no scientist or biologist, I am interested in stories ion motion, movies, personal films across genres and media. The movies I am most interested in are not the ones playing on Netflix, but those that have not been made yet. I started working with youth cinema for this reason: young and amateur creatives can fly if you just let them without dissecting them with how-tos and to-dos. One thing is fly, and another is to label, report and study. Ideas, in fluid narrative process, can become “stream of consciousness”, the art of flow. Many writers wait for flow to flood their pages with unstoppable, final sentences. Good ideas seem to shine with a promise: there will be “less pain” when a script “writes itself”. Bbut in story development good ideas are necessary but not sufficient. A writer can’t just admire a new magic moment of insight, s/he must dance with IT. A magic moment “pops up” and we look at it, then we think we must save it, hold on to it, never let it go. How do we do that? Some scribble or tap notes. Some “take pictures” to stake a placeholder claim on the world. We all seem to want to trap, even arrest our ides as images and words, and then imprison them in our pocket digital devices. We seem to give so much value to our “captured images” and their potential value as idea reminders. But I know there is a way to do the reverse, to release the source of an idea back into the wild, to set IT free. I call it the Cinemahead process. Carrying captured images and sounds can fill the hard-drive space in our camera and brain. This cuts down our play-space and playing with ideas (the process, the now) is the most juicy part of the game. So I try and leave a new idea exactly where I found it. Instead of capturing a shot of a tree as a memory, I play with it, then I put it back: I leave it there. Next time you do, look at how “your” idea returns where you found it. rock-n-roll! The next time, your the idea will be waiting for you there, exactly where you left it. Nobody will steal your ideas in the open. Trusting an idea into the common space can be not sonly exhilaratingly free, but even contagious. Imagine others as they may run into your ideas and you into theirs. Imagine a creative commons of shared ideas right around us, everywhere. So much common ground, so much potential for cross-pollination and mutual inspiration. Personally that in itself feels like an idea, so – like an unknown butterfly – I will leave it here and let it go. See what happens to it, now and next. The best part of a magic moment is breathe it in, and let it be. This video is from a Himalaya Motocross tour. A father and son’s story with a warm tone and high stakes. Our micro doc site docmob.net doesn’t yet contain any Go Pro films, but it has a free manifesto to download, that sets up the basic principles of making miniature documentaries 30 steps from mainstream. Anybody out there making GoPro #DocMob films? DocMob is a film practice for the making of miniature documentaries with available digital equipment. The idea is to witness local stories and events, and make short-short films. These can be one-person portraits, events, or anything at all. The goal is to document what would otherwise go unseen, with energy in focus, and little planning. 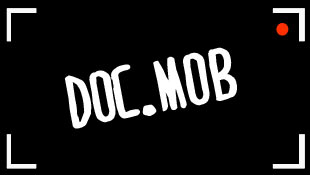 DocMobbers can follow a set of simple practical principles, in the Doc.Mob Manifesto. Centup is a crowdsourced project that allows the online support of projects. The evolutionary plus is that miniature Centup donations let us distribute – simultaneously with each project “like”- small money to NGOs of choice. Micro-documentary and Cent-Up share size and speed: small, quick and effective. Make a Doc.mob make Cents by registering your doc.mob project and trying the Cent-up beta.